For the avid online shopper, one of the biggest pros of shopping online is the ability to compare prices from various merchants at the touch of a button. With all the offers and promo codes available out there, how can you save even more money on your online shopping? Is this even possible? Let us show you with these 10 online shopping hacks! If you are shopping on the site for the first time, more often than not, there will be special discount codes for first-timers. You might have missed them, but that does not mean that they don’t exist. You may have to sign-up for their e-Newsletter or you can try asking these companies directly via email or their online chat box. Chances are if you are patronising them for the first time, they will be more than happy to provide you with a discount code. 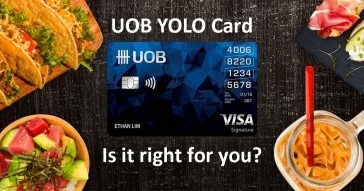 Do you have the “right” credit card? Having a suitable credit card to complement your spending habits and lifestyle will help you save more in the form of cashback, air miles or rewards points. Some of these credit cards even offer exclusive discounts with online merchants, and these are deals you don’t want to miss if you’re a frequent buyer on these sites. 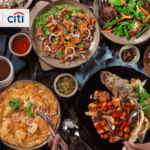 An example of a great rewards card for online shopping will be the Citi Rewards Card where you get 10 rewards points for every S$1 spent. These rewards points can be used to redeem vouchers, flights, gadgets and more. 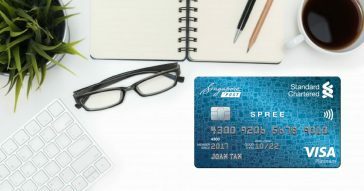 Some banks also provide great tie-ups with retail and online brands to offer credit card discounts. The general thought most people will have upon receiving a defective item is to return it immediately and process for a full refund. However, did you know that some companies grant consumers a defects discount should they choose to keep a damaged item? Thus, you can choose to take advantage of this policy should the defect be minor and not bother you. 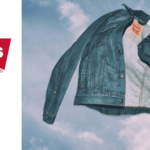 Companies such as ASOS even go the extra mile to give you the option of a full refund, or to send you a completely new piece without you going through the hassle of returning the defective item. How is that for great customer service? 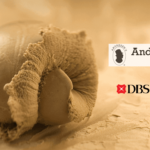 Do you know that there are international cashback websites you can use? Don’t limit yourself to just local cashback sites if you’re buying from an overseas online merchant. 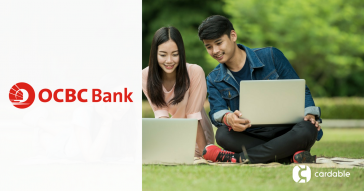 For example, if you pick a cashback website that is based in the United States, your cashback will be in USD instead of SGD resulting in more rewards credit for you. Also, in certain cases, the US cashback sites tend to offer higher levels of cashback on the same brands. More savings for you! Many sites such as ASOS and Zalora provide additional discount codes if you can hit a certain spending quota within an order, so the trick here is to spend more to get bigger savings. This is the perfect excuse to add all the items sitting in your “wishlist” into your shopping purchase, although we don’t advocate spending beyond your limits. Perhaps you wish to test certain clothing in different sizes or colours to ensure the best fit. Now this is a chance for you to do just that, because at the end of the day, you can always return the items that aren’t to your liking. You would have already purchased the other items in your cart with the additional discount anyway! 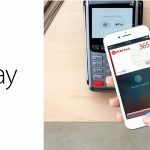 Alternatively, getting your family and friends on board and pulling your purchases into one bill is another method to hit the maximum discount requirement. No one will say no to more savings, right? TIP: If you are shopping on overseas sites, do remember that all purchases above S$400 will be subject to custom taxes in Singapore. To avoid this, try splitting purchases to a few receipts. Unsure about an item because of its price? Worried that it could just be an impulse buy? Go ahead and add it into your cart and not complete the purchase. Sometimes, companies will reach out via email to extend a special discount for your shopping cart. It is not a definite though, and will only work if you are a registered user and subscribe to their email list. This one may take a little bit of homework, however it is worth your while. Look back on previous years’ sale from your favourite websites to see the kind of sales typically rolled out, as well as the time of the year these sales usually take place. We know sites like Taobao have sales on 11/11, also known as Singles Day, and 12/12, which is their Mega Shopping Festival before Christmas. Based on past years, not only do prices slash down to as low as 70% off, but there are also time sales happening for every hour of the day. Similar to Amazon Black Friday sales, big ticket items such as electronics tend to be the most sought after items during the event. Local sites too have sale periods. 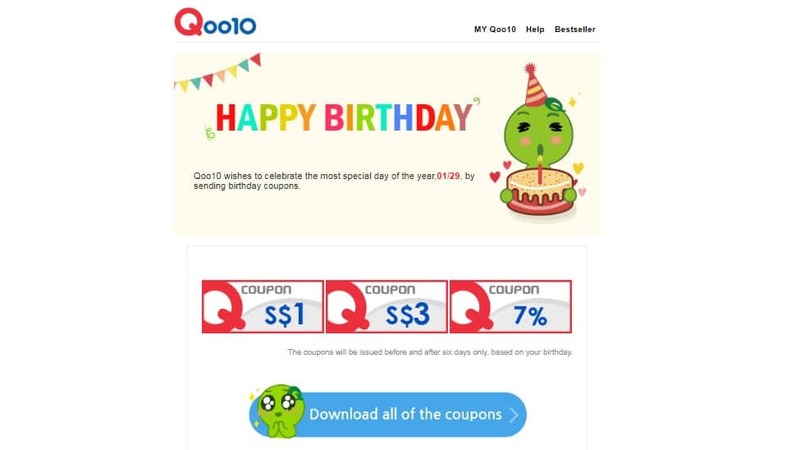 Coinciding with the annual Great Singapore Sales, sites like Qoo10 have rolled out discount coupons almost every day during this season, which could be stacked on top of the discount coupons launched by the various merchants on the site. Just a gentle reminder. Huge sales means higher consumer purchase, which also means the fastest fingers get the prize. So keep a keen eye on the sale commencement date (or rather, time) and make sure your shopping cart is already stocked with the items you want! We’re assuming you already have an account with the online merchants you regularly shop with. Now click into your profile and make sure you have indicated your birthday. Most brands will offer a special coupon code right around your birthday period, mainly free shipping or stackable discount codes. Take advantage of this and reserve your purchases till then. You may also stand to gain if you decide to pool together and buy with your friends and families on your birthdays, because not only are you taking advantage of the birthday discount, but you are also increasing your total spending within the cart which entitles you for additional discounts as seen in tip #4. This is a win-win situation for everyone! Instead of manually checking back at a site to see if your favourite items are on sale, we suggest using shopping apps such as Shoptagr to help do the job for you. Partnering over 1,100 online stores, Shoptagr is like an assistant that notifies you whenever your item goes on sale, via push notifications. You could also choose how much of a discount you want the item to have before being notified. Before you check out your cart, do a quick search on Cardable! 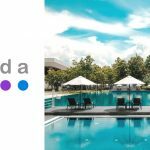 With more than 2,000 active promotions going on at any time, there is bound to be a promo code for popular online shopping destinations or credit card perks that you can use. Now that you are armed with all these new online shopping hacks, go forth and unleash the inner shopaholic in you! Use our Cardable site as a great resource to learn about the best promotions the town has to offer. 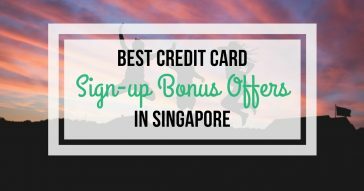 Looking for the best credit card sign up promotion or the best credit card deals available in Singapore? You are at the right place, we’ve done the homework for you right HERE!